The Range Car Top Carriers are made from our PVC Semi-Coated Mesh XT, our premium polyester re-enforced PVC. 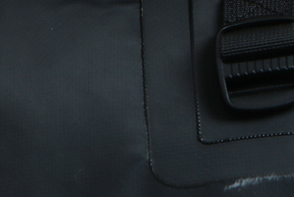 The polyester grid inside the PVC gives it added strength and makes the material resistant to tears or cuts. 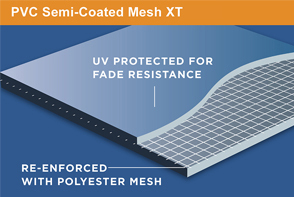 PVC Semi-Coated Mesh XT is waterproof and perfect for use in a cargo bag as it can be welded to form watertight seams. PVC Semi-Coated Mesh XT is also used in our Cargo Saddlebag Car Back Carrier and our Sport Car Top Carriers.